Luc is trained as a medical doctor, but have never practiced medicine. He have always worked on practice oriented research in the field of rehabilitation and long term care, including elderly care, care for people with mental or physical disabilities and care for people with chronic diseases. 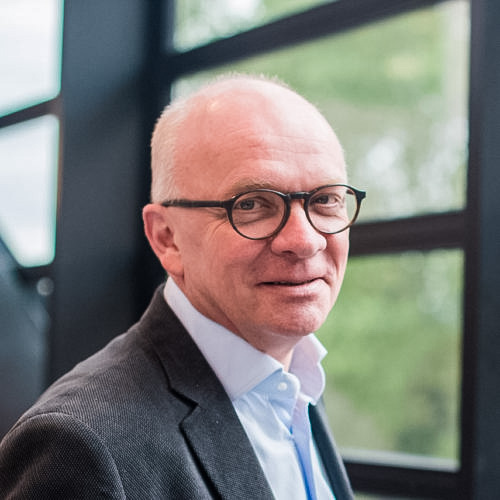 Before moving to Sheffield in October 2016 he was professor of technology in care at Zuyd university of applied sciences and Maastricht University in the Netherlands, and director of an innovation centre, connecting about 35 partners in healthcare, industry and academia. In 2013 Luc initiated a research program called ‘Health in Slums’, aiming to improve the living circumstances in urban slums in Bangalore, India. Today 4 PhD students work there and an average of 25 bachelor and master students do their thesis work in this program. Currently Luc is Professor at the University of Sheffield in England. His chair is called ‘ Health Services Research ‘ in which he focuses on the possible role of technology in health care. He is also still involved in research in Netherlands. The central question in his research in both Netherlands and England is how technology can contribute to future-proof care. In doing so, he looks at very different technologies, such as robotics, ehealth applications, the multitude or apps that come back on health care and the ‘ internet of things ‘. How can the best technology can be embedded in daily care? What is the added value of technology? And how can technology be best implemented? Luc has special interest in the field of assistive technology, often referred to as AIDS for people with disabilities. He is President of the Association for the Advancement of Assistive Technology in Europe (AAATE) and in that role internationally active in this area. In addition to research in England and Netherlands, Luc actively involved in research in slums in India, where he examines how technology can contribute to improving the living conditions and the health of people in slums.